We're sad to report that Johannes Strassmann has died. A body was discovered next to the Ljubliana River on Friday and DNA tests confirmed that it was the German pro. Strassmann went missing in the Slovenian capital on Saturday and was last seen at 10pm in Gornji, a popular street in the Ljubliana's old town. “On June 22, 2014, Police directorate Ljubljana got the report about a missing person, 29-year-old German citizen. The German citizen had been missing since 10 p.m. on June 21, 2014. Gornji trg [street] in Ljubljana was the last location where 29-year-old German citizen had been seen. The Slovenian police started to investigate immediately. During the investigation, the police officers checked several different locations in Ljubljana (hospitals, hotels, abandoned buildings, Ljubljanica River…) with a help of a helicopter, police dogs, and police boat. At the same time, we promptly checked all the information gathered from our citizens..
A male body was discovered yesterday (Friday) morning in the Ljubljanica River. National Forensic Laboratory has identified (by DNA test) the man who was found dead in the Ljubljanica River as 29-year-old German Citizen who had been missing. One of Strassmann's close friends, Duc Ngo also released a statement on Facebook. The poker world has been quick to pay tribute to Strassmann, who was a regular at live events throughout Europe. EPT commentator James Hartigan wrote for many. 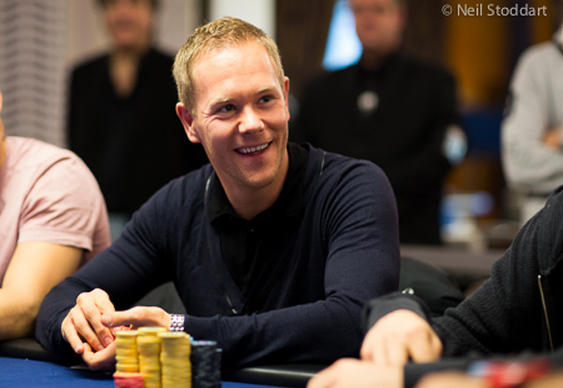 Johannes Strassmann was one of the nicest people on the EPT. A charming guy. A great ambassador for poker. My thoughts are with his family.